Twitter has ramped up filtering and reporting options on its website and in its mobile apps. Like many people, I spend too much time on Twitter, the “microblog” social network that lets you have snippets of conversations and post short insights (or, more likely, alleged jokes) that can be seen by everyone else on the network. Before this year’s U.S. election, Twitter was generally an interesting and often fun place to be for most people, and a terrible disaster and nearly unusable for some. The election accelerated that, no matter which candidate you backed (if any). For those who become the short-term or long-term targets of attack by groups of people for whatever reason, Twitter hasn’t previously offered enough tools to beat back harassment and abuse. Many targets have shuttered their accounts, while others have to work exceptionally hard to have any real interaction via Twitter at all. I and many others have criticized Twitter for lagging in improving discourse on its own, such as identifying abuse and blocking it and its perpetrators without requiring others to intervene, and building sophisticated tools that would let people choose to filter and block content and people. 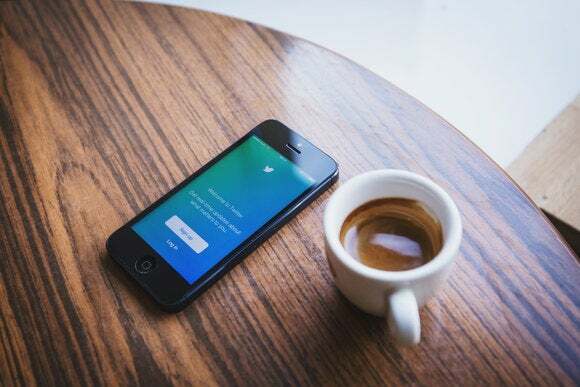 Twitter’s abuse reporting tools and response have improved gradually, but still seemed to fall far behind the company’s stated guidelines for appropriate interaction. There’s a tendency for media to accuse people of living in echo chambers composed only of like-minded people, reinforcing sometimes ill-conceived notions about others. Twitter’s filtering and blocking tools can play into that. But there’s an obvious difference between being exposed to ideas that differ from ones you hold and being being bombarded by offensive or abusive statements and images. Here’s some advice about how to configure and use Twitter’s new tools, including one rolled out earlier this year, both to fight abuse and to keep your timeline more to your liking. It’s obvious that Twitter analyzes all the public messages that pass across its systems, because it offers data that derive from that analysis. I’ve found it frustrating that it didn’t turn its ad analytics tools towards helping people have a better experience. The Quality Filter gets rid of tweets that have little reason to exist. 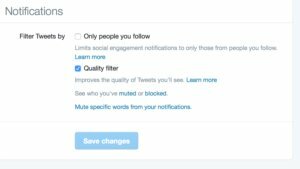 Twitter explains the Quality Filter uses “signals,” and mentions duplicates and automated messages. But it also clearly removes tweets that @-mention you from a combination of newly created accounts, ones that have few followers, and ones @-mention a lot of people over short periods. Since enabling that feature, I’ve seen a lot fewer garbage tweets in my mentions from accounts designed to attack in bulk, and some people I know who receive much more abuse have seen a reduction as well. Twitter could go further, offering additional checkboxes to remove or reduce the frequency of tweets that fall into different categories. Right now, if you follow anyone on Twitter, you see all their messages and retweets in your main timeline You can disable seeing another user’s retweets on an account-by-account basis. 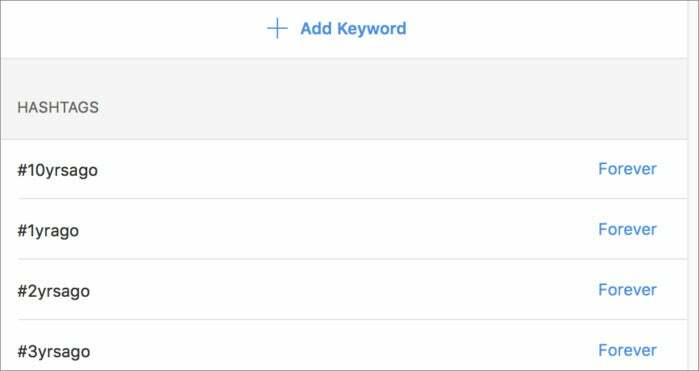 Tweetbot has long had a filter that allows specific muting by account, hashtag, and keyword, including suppressing notifications and search results. I’ve used the third-party Twitter client Tweetbot for a few years for macOS and iOS, and its developers added timed filters to mute accounts, keywords, and hashtags. The filters sync across all your connected accounts, too. You can mute for periods of time (from a day to a month) or forever. The official Twitter app’s mute filters are on/off with no timing options. Years ago, Twitter added a mute option to contrast with blocking. When you block another user, that user can’t follow you, like or retweet your messages, or see your tweets when they’re logged into the account you blocked. Accounts that you mute are unaware they’re muted. They can still follow you and engage in other behavior, but you’re not notified of any of it and they don’t show up in your timeline. Many people prefer to mute as a “soft block,” because a regular block can be noticed, and sometimes causes another party to escalate an attack or enlist other people. I’m absolutely positive that some people who follow me (perhaps many!) have muted me because of my volume of tweeting, but some have told me they stick me in a Twitter list, and they want the ability to read, direct message me, and have other interactions. I don’t take it the wrong way. Twitter recently added keyword muting, which includes hashtags and accounts that appear in your timeline. Twitter just added keyword-based muting, which you can find in the official Twitter mobile app in the Notifications tab by clicking the gear icon, then tapping Muted Words. You can mute words, phrases, hashtags (by using a # in front), and mentions of an account by including the @. However, if someone @-mentions you, you’ll still see that response, unlike muting an account directly. This has a lot of benign purposes. Some people are kind enough to hashtag topics, like an Apple keynote or an #eagles football game. You might also follow people who are involved with ideas and subjects you find upsetting without finding the person offensive, and you can now more easily mute those subjects. Twitter needs to combine keywords and notifications, which is available in Tweetbot, so that you can pair a keyword with suppressing mentions. Many hate groups and abusive movements rally around specific words and hashtags as a way to identify each other on Twitter, making it easier to blot them out of your timeline. There’s one more muting options that’s simply amazing, and I’ve been hoping for for many years. You can now mute a “conversation.” Conversations are threaded replies in which you’re mentioned. Series of tweets with many handles in them are often called “canoes,” and people talk about “getting off the canoe.” Now they can. While viewing a tweet at Twitter’s website or in its mobile app, tap the down-arrow (mobile) or three dots/ellipsis (Web), and then select Mute This Conversation. It doesn’t remove your handle from subsequent replies, but you’re not notified of them. This lets you declutter your notifications, even though the tweets will still appear in your timeline. It’s unclear whether Twitter will let third-party developers access keyword-based tweets or add an option for conversation muting. There’s one other option you might set related to media. While it’s not about muting, Twitter does use algorithms and user account settings to mark images and video as containing “sensitive” content. This can often be explicit or disturbing. In Twitter’s main Account setting, you can make sure the box for “Do not inform me before showing media that may be sensitive” is unchecked, and then you’re warned when using the website and its clients. However, before a few days ago, the company didn’t offer a way to report accounts and tweets for violations of those rules that matched up closely enough. This left out a lot of what is widely regarded as hate speech in law and practice, and which Twitter clearly defines as out of bounds in its rules. Using the website or official Twitter mobile app, you can use one of a variety of ways to report a tweet, account, or even a Moment. The final way to get some quiet on Twitter is to protect your account. This allows anyone currently following you to continue to see your tweets, but those messages can’t be retweeted and new users have to request to follow you. If you also want to not see notifications from people who don’t follow you, in the same place you enable the Quality Filter, you can choose to only see mentions from people you follow. Some people opt to lock their Twitter account during high levels of attacks, making themselves effectively and temporarily invisible. It’s sometimes necessary for one’s own mental well-being. Twitter’s moves are still shy of what’s fully needed, but they’s another step forward in creating a more civil space with parameters you can control. All of these are voluntary: you don’t have mute or block other accounts or report behavior against you or other people. For those who want the control, improvements are welcome.